The History of the Tyldesleys of Lancashire published by John Lunn in 1966 provided little coverage of the family outside the county—such as the branches which settled in Fornham St Genevieve and the Isle of Man. The Tildesley's of Tildesley in Lancashire were an ancient family. The first of them to have any connection with the Isle of Mann was Thurstan de Tyldesley, who was one of two commissioners sent there by Sir John Stanley in 1417. He married Margaret, daughter and coheir of Jordan de Worsley. From his time to that of Thomas, the fifth in descent from him, none of the family seem to have lived in the Island. Thomas was Water Bailiff in 1532, and in 1540 Deputy Governor. He died in 1554. He married a daughter of Sir Alex Radclyffe of Ordshall, Kent, and had issue. His eldest son Thurstan succeeded to the Lancashire property, but it would appear that there was a younger son who had the Manx property, the Friary, called Bemeccan, in Arbory, which had been presented to Thomas in 1536, as there is a William Tyldesley, probably Thomas's grandson, entered for it in 1595. William was a Member of the House of Keys from 1609 to 1637. He died in 1643, and was succeeded by his son Richard, who was made Comptroller in that year. He was the last member of this family, except Stanley, who held a post in the Council. He married Isabella Norris and had issue Thurstan. Richard's son Thurstan, an M.H.K, followed him in 1679, Thurstan's son William  in 1704, and William's son Richard  in 1726. Richard married Ann Stanley,  eldest daughter of Edward Stanley of Preston, a branch of the Derby family, and had issue Richard, who was entered in 1750. Richard married Catherine Moore  and had issue Thomas  (born 1733); Stanley (born 1735) ; Elizabeth (born 1730); Ann (born 1737); Richard (born 1740,  died 1774 without progeny); Edwin and Esther  twins (born 1743). Thomas married Catherine Quayle and had issue (1) Margaret, born 1774; (2) Thomas,  born 1776, died 1798 without progeny; (3) Richard, an officer in the 39th Regiment (died unmarried at Guadaloupe in 1805) . We find it recorded that Richard and his wife settled 'for certain considerations upon their son and heir Thomas and Catherine his wife, the Friary, Ballabilbert, Balladuke, and Billown. Richard was the last of the family who was a Member of the House of Keys, all his predecessors having been either members of that body or of the Council. His second son, Stanley, married Jane daughter of John Allen, heiress of the Hague Estate. There are no representatives of this branch. As none of the sons of Thomas had issue, the estates went to his daughter Margaret,  who married Benjamin Greetham  in 1795, whose issue's descendants are still in possession. 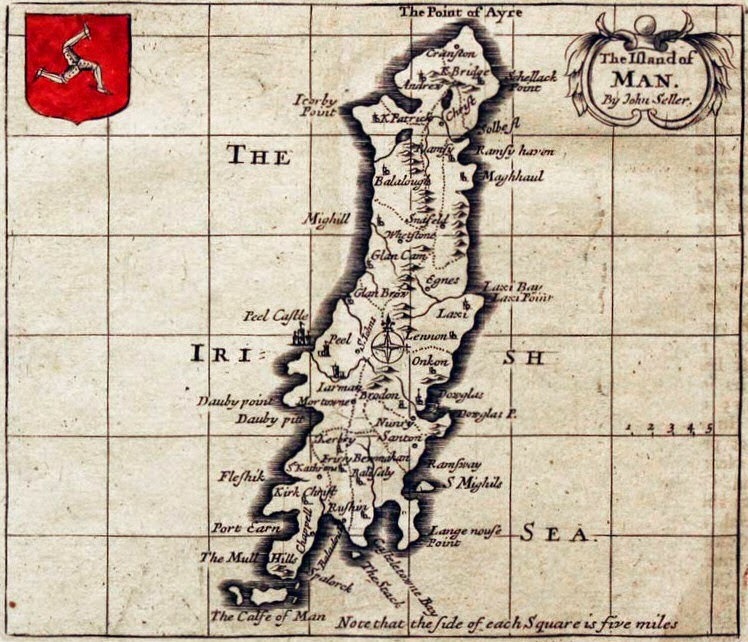 Richard, who as mentioned died at Guadaloupe in 1805, was the last of the name of Tyldesley in the Isle of Man. 6 JMO : Arbory bur reg: Stanley Tyldesley bur 7 Mar 1819. 10 JMO: Richard was born 20 Dec 1772, Arbory. God’s Acre, Feltham: MI, Castletown Chapel: "On a neat marble. Richard Tyldesley, Esq., of the Friary, Lt. 39 Regt. foot, who died at Guardalope, 21st July, 1794, aged 21. He lived highly esteemed and died much regretted."